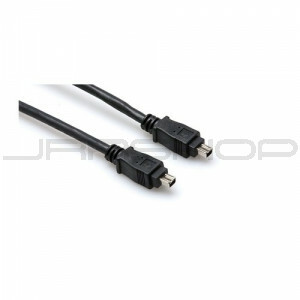 JRRshop.com | Hosa FIW-44-115 Firewire Cable: 4-Pin to 4-Pin 15 ft.
Hosa FIW-44-115 Firewire Cable: 4-Pin to 4-Pin 15 ft. This cable is designed to interconnect devices with 4-pin FireWire 400 interfaces. It is ideal for interconnecting DV cameras or connecting a DV camera to a laptop.